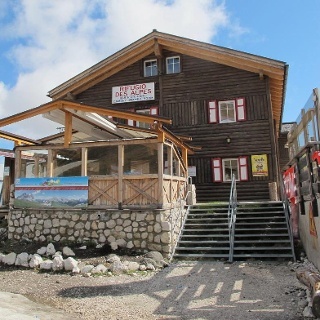 Rifugio Ciampolin, on the Pordoi peaks route. 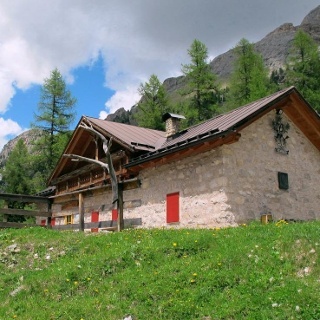 From the centre of Canazei, you follow the “Streda de Ruf de Antermont” and, passing next to the church and a picturesque home, you exit the town. You continue along the paved road that runs alongside the river (Ruf de Antermont). Before the bridge over the river, you must be careful to take the path on the right, marked with trail no. 627, in the Passo Pordoi direction. 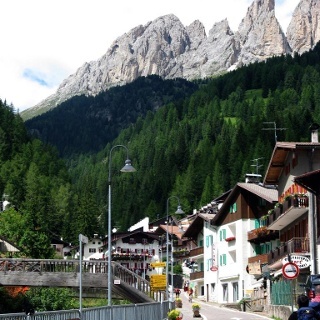 The path climbs through the vegetation and, in short sections, follows alongside road SS48 delle Dolomiti. 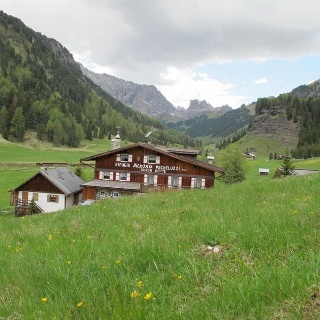 You can follow the trail markings all the way to Rifugio Ciampolin. You return along the same route. 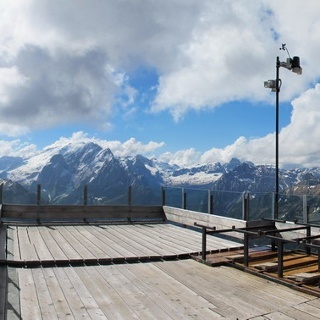 It is also possible to reach the mountain hut using the Canazei Pecol Cablecar. 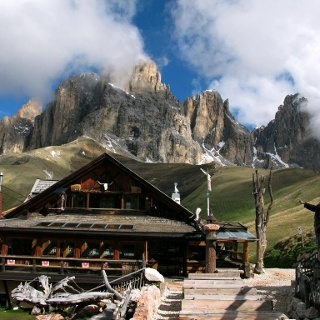 From the uphill station in Pecol locality, you follow the path that climbs up to RIfugio Ciampolin in about 10 minutes. SS48 delle Dolomiti to Canazei. Several free parking areas available in the town.